→What’s Brain Training For Dogs? Do you have a puppy that needs training, but not sure how to go about it? Or maybe your dog has some basic training, but you want to teach him more advanced techniques to keep him mentally stimulated. Perhaps your dog's behavior is proving to be challenging like continually barking, aggressive, pulling on the lead or chewing furniture and you are at a loss what to do. Dog training is a lifelong process which has numerous benefits for both owner and pet. A dog who is obedient and well-behaved makes life so much easier compared to one who is disobedient and destructive. How Do You Get a Well Trained Dog? So, how do you get the help and assistance you need to train your dog without it costing a fortune? Employing a professional dog trainer is one option but can be extremely expensive and time-consuming, often requiring multiple sessions. A more suitable and much cheaper alternative is an online dog training course which you can use at your convenience. This way, you bring the trainer into your home but without the physical presence and expenditure! Many such courses provide reading matter to download along with videos to watch so you can study the training techniques in action as often as you like. But, with hundreds of dog training courses now available online, how do you know which is the best one for your pooch? Several dog training programs consist of outdated methods using dominant training techniques which creates fear and low self-esteem in a dog as well as slowing down his learning process. Scientific research in canine behavior reveals that employing positive reinforcement techniques creates a much happier and obedient dog who is more receptive to training. 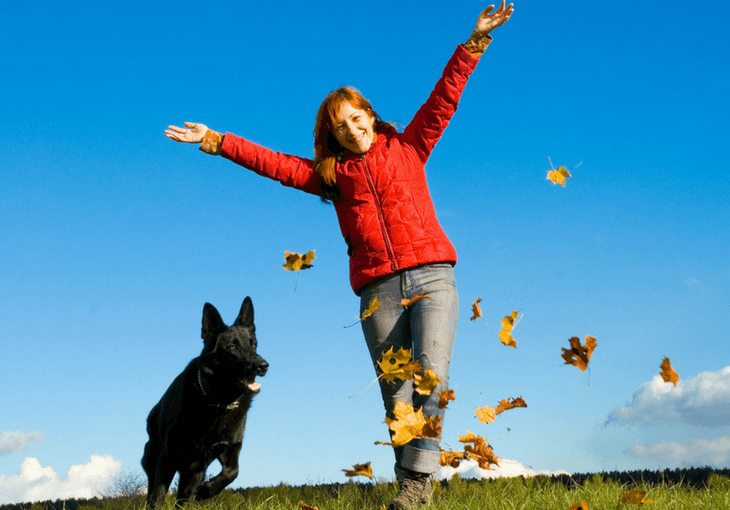 If you are looking for a course that not only stimulates your dog’s brain in a fun and entertaining way but also helps combat bad behavior, then read on and find out what's brain training for dogs! What's Brain Training for Dogs All About? Brain Training for Dogs is an online program created by the professional dog trainer, Adrienne Farricelli. 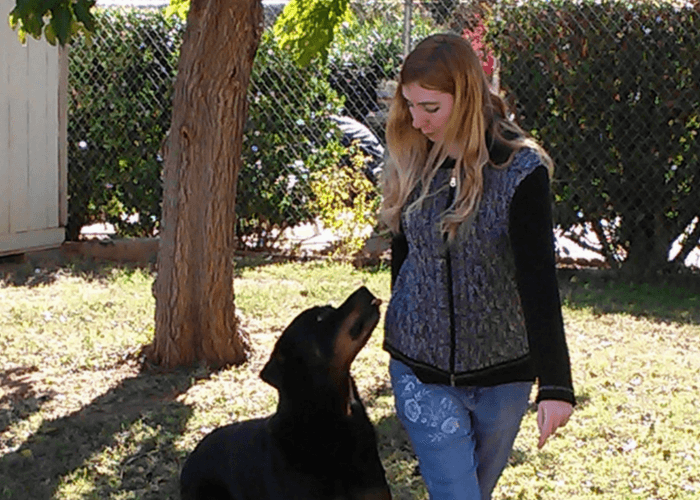 Adrienne uses force-free and gentle methods that release your dog’s natural intelligence and removes bad behaviors. The emphasis is that by making your dog smarter, he better understands what you are asking and can figure things out, thus making him easier to train. As a result, he becomes more obedient and well-behaved, creating a happier and healthier dog. A dog which lacks mental stimulation becomes bored and destructive creating behavioral issues such as chewing, whining or jumping up at people. A 300-page PDF eBook which is the main manual for Brain Training for Dogs course. 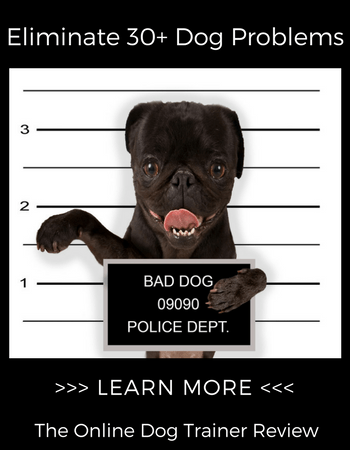 Free bonus course, Behavior Training for Dogs. 21 video demonstrations of brain training games. Members area which gives you access to case studies, community forum and Ask Adrienne, which allows you to ask any questions regarding dog training. The program consists of different types of training which include obedience, basic commands, tricks and games. The idea is to gradually improve your dog’s intelligence by playing thought-provoking games as he passes each level. This method enhances the learning process making training much more fun for both dog and owner alike. As your dog moves up through the grades, the puzzles and exercises become more challenging and demanding. Each stage in the book is easy to follow giving the purpose of the lesson and offering simple instructions as both written and visual formats. All sessions end with troubleshooting sections for common issues you may face with your pooch and their solutions. It also offers several ways to intensify each challenge making it even more fun for your dog. Preschool: You'll start of here with the foundation of the course, where your dog will learn how to become obedient to your commands. Elementary: In this module your dog will be introduced to some fun games that will help with problem behaviors. High School: This section is all about learning impulse control and patience. College: In this module your pup will learn to concentrate on your commands and develop his motor skills. University: More fun games that concentrate on developing intelligence and patience in your dog. Graduation: This is an advanced module, where your dog will learn how to weave in-and-out of objects and pick out his toys by name. Einstein: This is the highest level in the course. Your pup will learn to play the piano on cue (yes I said piano) and he will also learn to stack rings. What a GENIUS your dog has become if he had made it to this level! Preschool is the foundation of the course teaching your dog how to use his brain power and become obedient. As he moves up through the levels, your pooch improves his motor skills and intelligence becoming a much better behaved and respectful dog. The final module, Einstein, is considered “genius level” where he will be able to tidy his toys away and play the piano on cue. Now that is genius! Once your dog completes each level, he can take an exam which allows you to grade him, so you know where you are with your training progress. Don’t worry if he fails. You can repeat the test until he makes A grade! Other features include how to master clicker training, hand signals and verbal cues as well as learning the correct way to hold treats. Who Created Brain Training 4 Dogs? Adrienne Farricelli (pictured above), that's who. She was born in Italy and is a professional dog trainer with a wealth of experience training dogs. Certification Council for Professional Dog Trainers (CPDT-KA) in the USA. Adrienne uses the latest science-based dog training methods that focus on positive reinforcement techniques. She believes every dog has hidden intelligence that can be used to eliminate harmful behaviors and produce a well-trained, obedient dog. For over a decade she has helped dog owners all over the world and has written for USA Today, Every Dog magazine and eHow. Brain Training for Dogs is an easy to follow online training course which caters for every type of dog and behavior problem you may encounter. It not only enhances your furry friend’s intelligence and way of thinking but also improves the bond between pet and owner. The program makes dog training simple and straightforward, and other dog professionals highly recommend it. At only $47, it is very reasonably priced and comes with a 60-day money back guarantee if you decide this course isn’t for you. Yes, I Want Brain Training For My Dog Anyone would be barking mad not to try it!